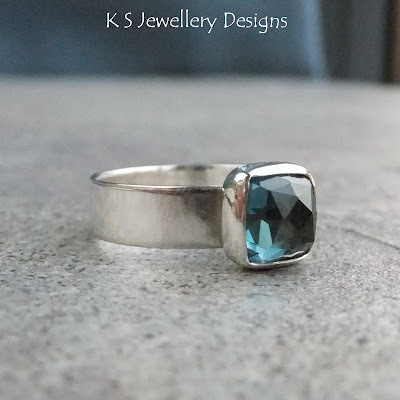 If you like your rings to be a bit more substantial then this wide band London blue topaz ring might be the ring for you. Available as a 'made to order' item (£55). NB. The ring in the photo is also for sale and is 'ready to send'... it is UK size O or US size 7. 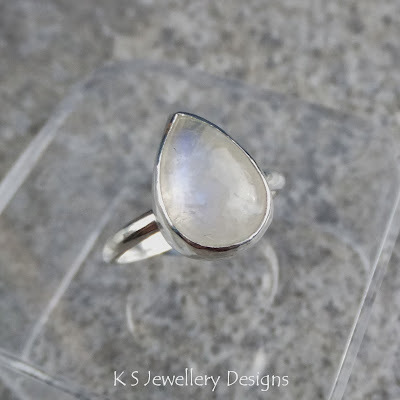 This rainbow moonstone ring is quite a 'statement' ring and features a beautiful teardrop cabochon with lots of colour flashes. It is also is available as a 'made to order' item (£45). HOWEVER the ring in the photo is also for sale and is 'ready to send'... it is UK size M1/2 or US size 6.25.